On the outskirts of the southern Serbian town of Surdulica a black cross looms above a grave covered in a tangle of weeds. This is the final resting place of some of the hundreds of civilians killed by the NATO air attacks launched 20 years ago this Sunday, a tragedy survivors feel is as forgotten as the overgrown burial ground. "No one except for journalists has called us or asked if we need any help, how we feel. Nobody," said 34-year-old Ivana Mitic. 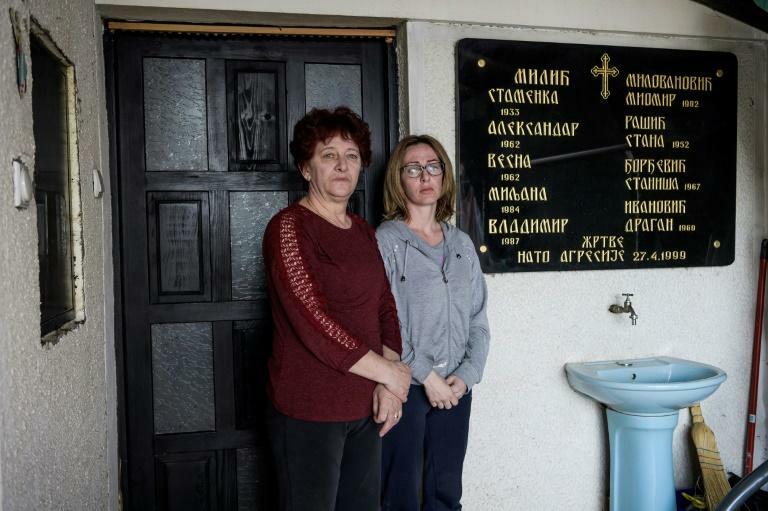 Mitic's brother, grandmother, uncle, aunt and cousins died when a NATO bomb razed their home on a residential street in Surdulica on April 27, 1999, in what the Alliance later admitted had been a "mistake". NATO's three-month bombardment was an effort to halt Serbian strongman Slobodan Milosevic's crackdown on separatist ethnic Albanians in Kosovo, a southern province that later declared independence. 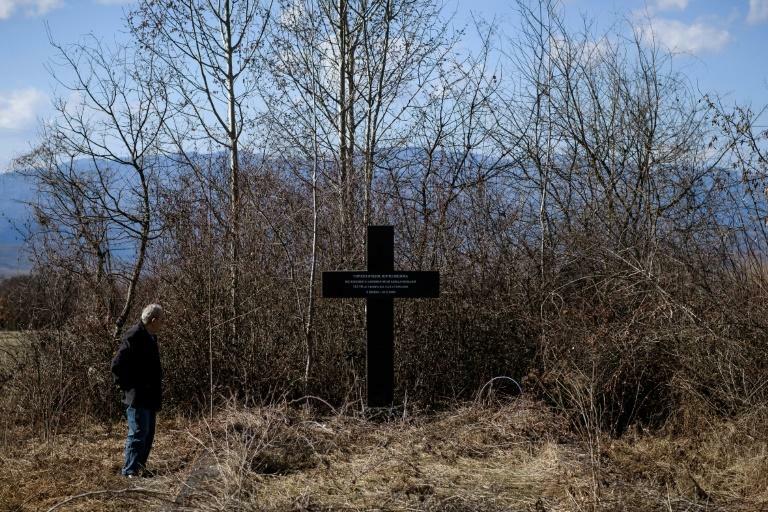 On its 20th anniversary, many will celebrate the intervention for having ended the final war in Yugoslavia's collapse, in which 13,000 were killed, mostly Kosovo Albanians. 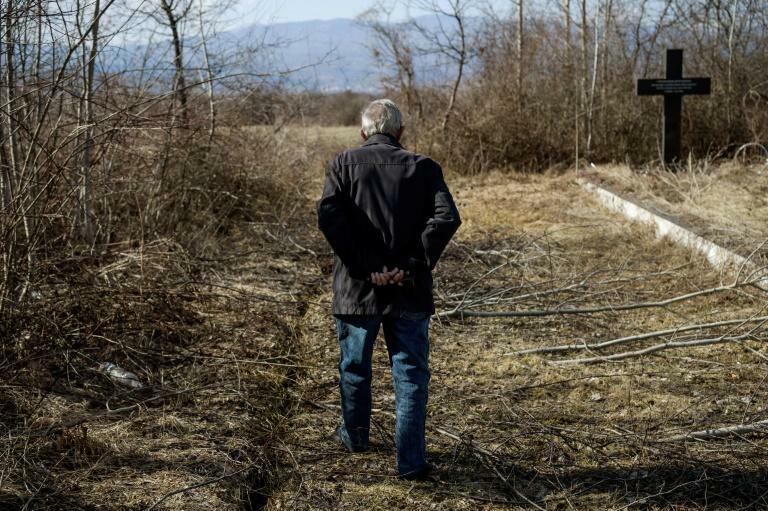 But in Serbia the air strikes left their own trail of death and trauma in their wake. For 78-days, NATO aircraft bombed Serbian military and civilian targets across the country, killing some 500 civilians according to Human Rights Watch. The victims included Serbs, ethnic Albanians in Kosovo and Roma. The civilian deaths were never investigated by international courts, despite rights groups saying that some incidents could have violated international law or even constitute war crimes. Mitic was 14 at the time of the bombings. Her parents were only able to identify the nine dead by the clothes, jewelry and shoes pulled out from the rubble of their house, she recalled. "Nobody has ever come to tell us who is accountable for that crime," she added, trembling at the memory. The bomb that crushed Mitic grandfather's house was one of numerous "errors" NATO admitted to afterwards. Speaking in Brussels several days later, a spokesman for the alliance said: "One bomb went astray... Things like this can happen and in fact they happened." A month later on the other side of Surdulica, 21 more people were killed when NATO fired on a nursing home at midnight on May 30, 1999. Retired doctor Miroslav Stosic, 71, was one of the rescuers who arrived at the "horrible scene" strewn with dismembered bodies. They were later buried under the cross. "We stood here for the entire night and tried to protect the remains" from stray dogs, he told AFP. Most of the victims were refugees from Croatia who were being housed in the complex. According to Stosic, they had been transferred to the site, trading places with soldiers previously been based there. NATO launched "Operation Allied Force", without backing from the UN Security Council, after Milosevic refused to sign a peace deal to end the war. Among the mistakes NATO admitted to was a strike on the Chinese embassy in Belgrade that killed three people. The US said outdated maps had led the pilot to the wrong target. In another case, a NATO aircraft launched two laser-guided bombs at a railway bridge over Grdelicka gorge in southern Serbia, killing at least 10 people on a passenger train. The Alliance claimed the train crossed the tracks at the last minute and that its bombs had only been aimed at the bridge. There was also the highly controversial strike on the state TV broadcaster RTS in Belgrade in April 1999, which killed 16 civilians. NATO claimed it was a legitimate military target because of the broadcaster's propaganda function. Although Amnesty International argued that the bombing was a war crime, UN prosecutors in 2000 decided not to open an investigation. Many Serbs still harbour some hostility towards NATO and -- unlike the rest of its Balkan neighbours -- the country has no intention of joining. In Belgrade, some buildings still bear the damage of the bombs, while activists have hung banners in the city centre bearing the faces of the victims. Some families of victims have also accused Milosevic's regime of sacrificing civilians for propaganda purposes. As well as NATO, Mitic also blamed the Serbian state for her family tragedy. The authorities had failed to protect them, she said. "Nobody has said 'We are sorry, we made a mistake, we did not know that civilians were there'," Mitic said through tears. The only survivor of the bomb that struck that house, 81-year-old Stojanca Petkovic, lives around the corner. "I would rather it had been me gone and one of these kids had survived," he whispered sadly.